At BaselWorld 2013, De Bethune presented three new black interpretations of the celebrated DB28, winner of the 2011 “Aiguille d’Or”, the highest distinction awarded by the Geneva Watchmaking Grand Prix. 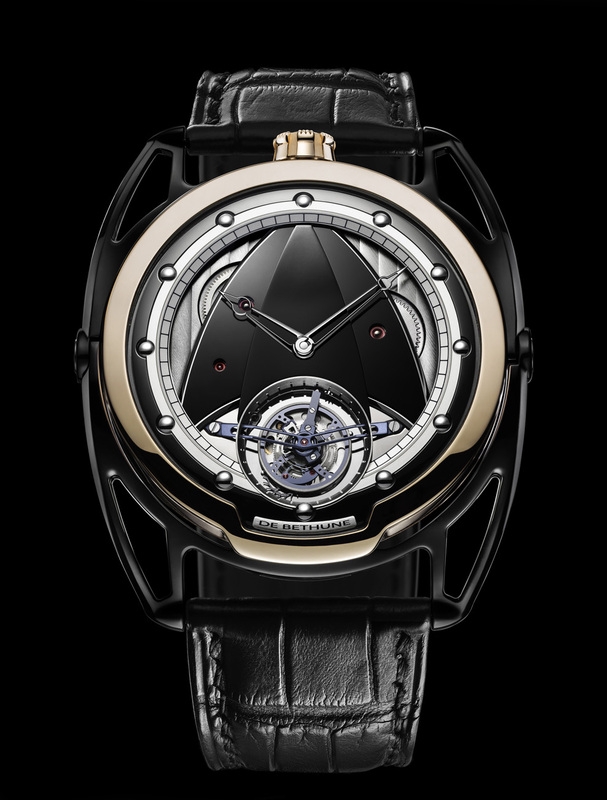 The key element of the new models is black zirconium which De Bethune used for the case and the distinctive patented floating lugs. The hardness of the metal and the oxidation stability guarantee the resistance and durability of the exterior of a timepiece. The alternating mirror-polished and satin-brushed finishes reveal countless different tones ranging from anthracite grey to intense black. The result is a breath-taking beauty. 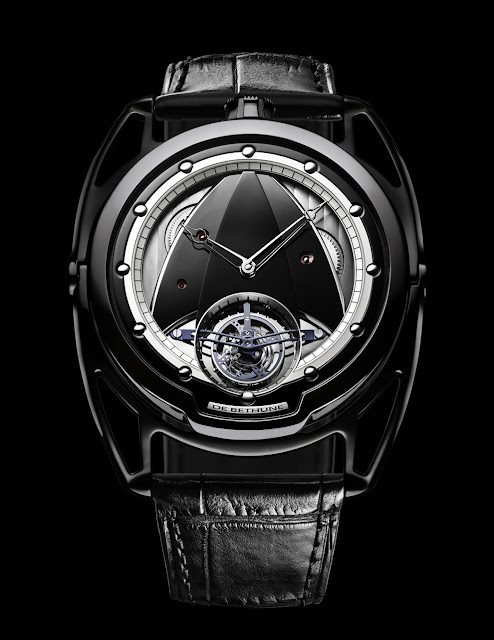 The DB28 Black Matte is equipped with the hand-wound DB Calibre 2115 whose precision is consolidated by the self-regulating twin barrel and by the presence within the regulating organ of a silicon/palladium balance wheel and a balance-spring with a flat terminal curve, protected by the triple pare-chute system. The DB28T Zirconium and the DB28T Rose Gold are powered by the DB Calibre 2009, a mechanical hand-wound movement equipped with the De Bethune silicon/titanium 30" tourbillon weighting just 0.18 g.
According to De Bethune, this tourbillon is the lightest on the market (classic tourbillons are four times heavier) and comprises 57 parts, of which the lightest weighs less than 0.0001 grams and the heaviest 0.0276 grams! Case diameter is 42.6 mm for all these new models. 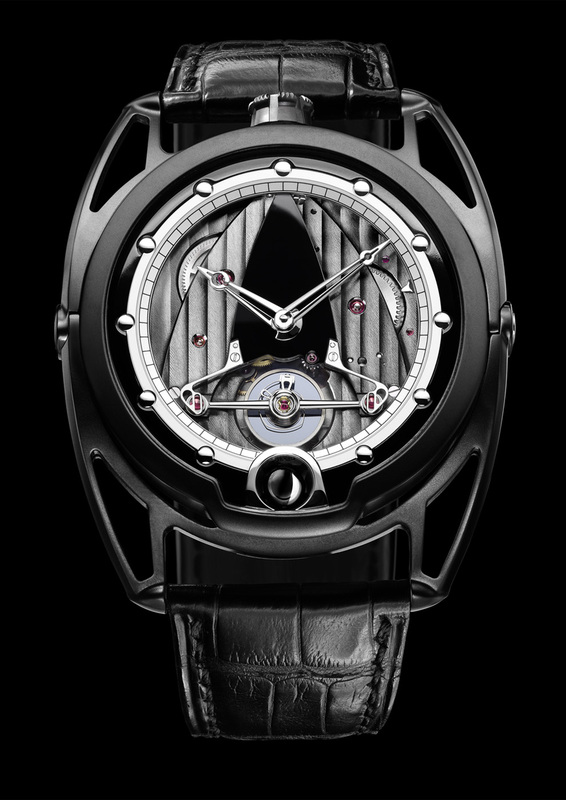 At BaselWorld 2013, De Bethune presented three new black interpretations of the celebrated DB28, winner of the 2011 “Aiguille d’Or”, the highest distinction awarded by the Geneva Watchmaking Grand Prix. 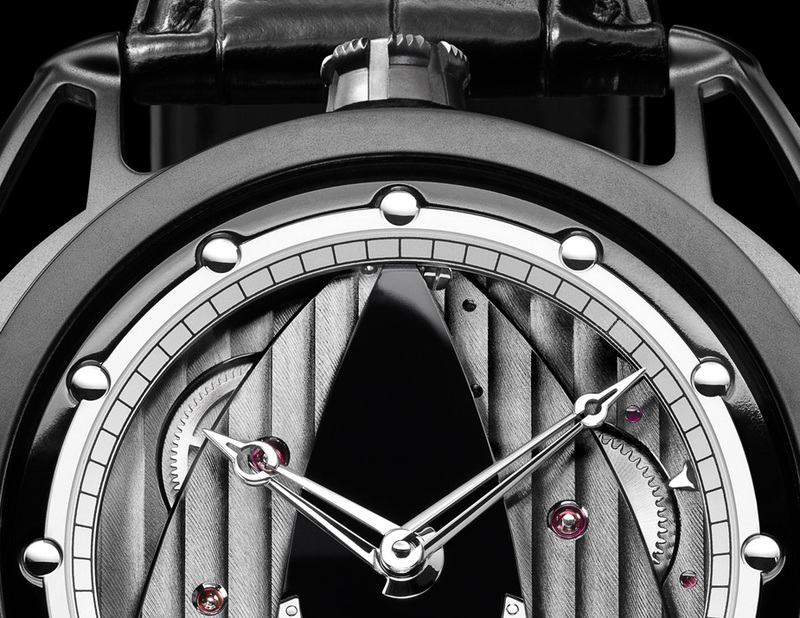 DB28 Black Matte, DB28T Rose Gold, DB28T Zirconium, De Bethune.